We are very excited to announce that KitHub has expanded to Tokyo, Japan! For the past 2 years, KitHub has been working closely with Safecast on environmental monitoring projects. We've served as the primary distributor of the bGeigie nano kits and the air quality monitoring station. 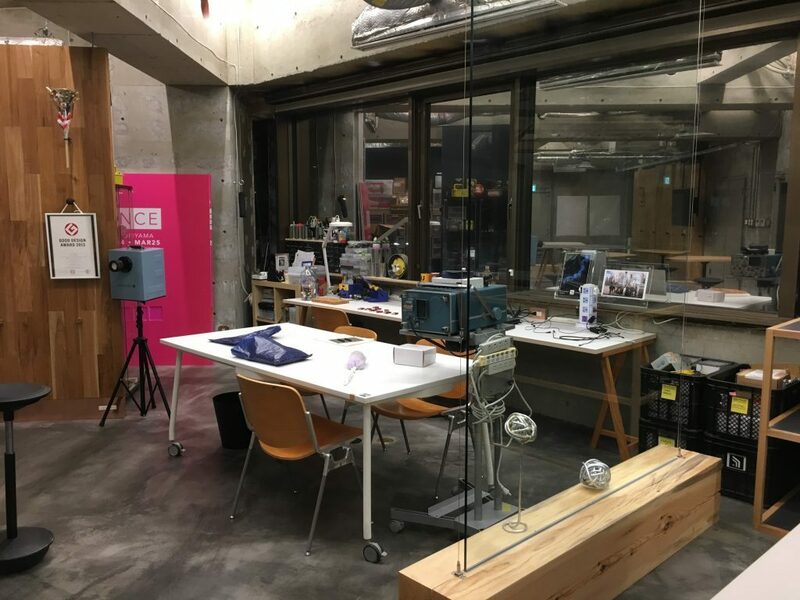 As KitHub expands our environmental monitoring offerings, we jumped on the opportunity to work closely with the Safecast team at their office in Shibuya, Tokyo. Not only will we be able to work 1:1 with the team, but we will have the opportunity immerse ourselves into the Japanese culture and nearby cities including Seoul and Hong Kong. 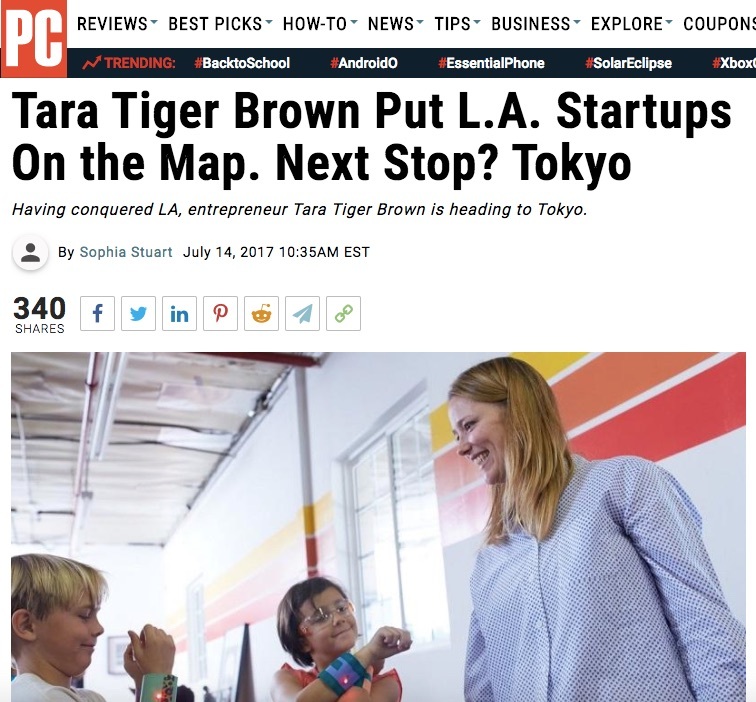 Recently PC Magazine sat down with KitHub Founder, Tara Tiger Brown, to discuss the move to Tokyo. Like Safecast, KitHub was born from the maker / DIY community and it's very important to us to continue to be true to our mission: Design and curate the best hands-on STEAM education and environmental monitoring programs for kids and educators to learn about science and technology in order to solve real-world problems. 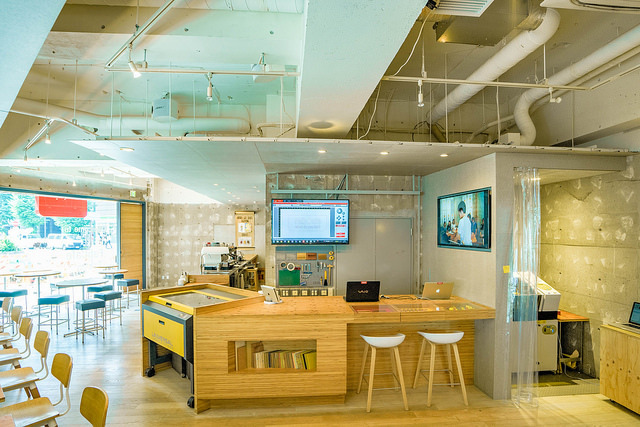 The Loftwork building in the cultural hub of Shibuya is perfect for us. FabCafe is at street level and serves coffee, snacks and hosts amazing DIY workshops. On the floor below us is a makerspace that hosts workshops on cutting edge topics including haptics and robotics. In addition, LoftWork, is a creative agency that has exceptional designers working throughout the building. Not to mention there is a candy and snack wall right next to our desks. We couldn't ask for a better location or a community to be part of. We will continue to offer science-technology-engineering-math (STEAM) programs in the USA as well as introduce new environmental education programs. In fact, we are working on a couple of new kits right now, stay tuned! One last thing, soon we will be introducing a new brand, ROBOT FLYER, that offers a very exclusive and curated set of Japanese made products. If that is something you are interested in, sign up so you don't miss the announcement. Tara Tiger Brown is a technologist and author exploring the intersection of the environment, education, and wellbeing. As founder and CEO of KitHub, she develops STEAM education programs focused on hands-on learning and environmental monitoring. Join The Great BackYard Bird Count! ©2014-2019 KitHub, LLC. All Rights Reserved.